Gilbert Becaud – French singer, composer, pianist, and actor. After a brief stint with the French army, this man decided to completely devote his time towards his passion. This prominent man belonging to the field of music started off penning songs in 1948 and since then his career just soared higher and higher. During the early days of his career, Gilbert proved his prowess as a musician through singles like ‘Les Croinx’ and ‘Mes Mains’. Since then, the musician has known for being the genius behind more than a dozen albums. A few of these include ‘Alors Raconte’, ‘Le Bateau Blanc’, ‘Le Retour’ and ‘Ensemble’. Apart from sticking to penning songs and composing albums, which was his forte, Becaud even ventured into doing opera comedies and musicals. Although he did not produce prominent works during the 1980s and 90s, his earlier songs continued being popular and were compiled into different albums. One of his songs even featured in a movie titled ‘Leon’, as a tribute to his musical genius. Bécaud remained a popular artist for nearly fifty years, identifiable in his dark blue suits, with a white shirt and “lucky tie”; blue with white polka dots. When asked to explain his gift he said, “A flower doesn’t understand botany.” His favorite venue was the Paris Olympia under the management of Bruno Coquatrix. He debuted there in 1954 and headlined in 1955, attracting 6,000 on his first night, three times the capacity. On 13 November 1997 Bécaud was present for the re-opening of the venue after its reconstruction. Becaud was also an occasional film actor, a highly successful songwriter with over 150 credits, and an ambitious composer who completed a Christmas cantata, an opera, and a Broadway stage musical. But his primary impact came as a singer. In an era when cabaret vocalists remained largely stationary on-stage, Bécaud’s energetic showmanship drove his audiences into a frenzy, as they strove to match his boundless enthusiasm. He became a regular presence at Paris’ legendary Olympia concert theater, where he performed over 30 times more than any other artist. 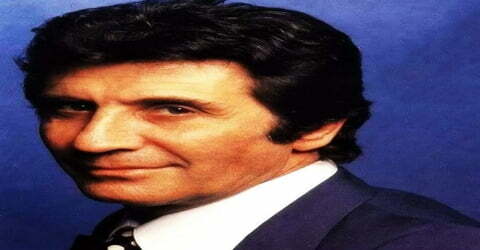 Gilbert Bécaud, by name of François Gilbert Léopold Silly, was born on October 24, 1927, in a city named Toulon, located in the South Eastern region of France. He was originally christened Francois Gilbert Leopold Silly. He developed an interest in Piano at a really young age. His father ignored their family, after which his mother got involved in a relationship with a man named Louis Becaud. It was Louis who played a great role in the upbringing of the lad as well as his other siblings. After earning a reputation of being a child prodigy, the singer enrolled at ‘Nice Conservatoire’, when he was hardly nine years old. He continued studying at this institution for a few more years. In 1942, Bécaud left school to join the French Resistance during World War II. He began songwriting in 1948, after meeting Maurice Vidalin, who inspired him to write his early compositions. He began writing for Marie Bizet; Bizet, Bécaud, and Vidalin became a successful trio, and their partnership lasted until 1950. Gilbert Bécaud tied the knot with a woman named Monique Nicolas in 1952. Gilbert later fathered three children, namely Gaya Philippe and Anne. However, this relationship didn’t last too long. Becaud was also involved in a relationship with a woman named Janet Woollacoot. The duo became parents to a baby girl named Jennifer during the 1960s. Becaud then entered the wedlock with a woman named Kitty St John in 1976. It’s believed that the couple had already become parents to a baby girl named Emily, prior to their marriage. Gilbert Becaud met musician Maurice Vidalin in 1948 and this encounter encouraged Francois to write a few songs. He also collaborated with another musician named Marie Bizet during this time. The trio worked together for the next two years. In 1948, Bécaud started penning material for singer Marie Bizet; through her, he met songwriter Pierre Delanoé, who would join Bécaud and Vidalin to forge a highly successful creative partnership. 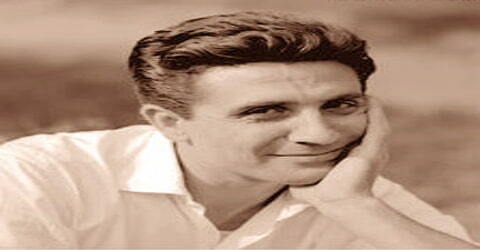 During the late 1940’s alone, this musician wrote many songs which went on to become chartbusters. Soon after, Francois happened to meet Jacques Pills, known to be a good singer and pianist. After their first interaction in 1950, the duo developed a great rapport and even went on many musical tours together. While on tour in America, the two met legendary singer Edith Piaf and wrote her a hit song, “Je T’Ai Dans la Peau.” Pills and Piaf married, and Bécaud served as Piaf’s accompanist and manager for a short time. 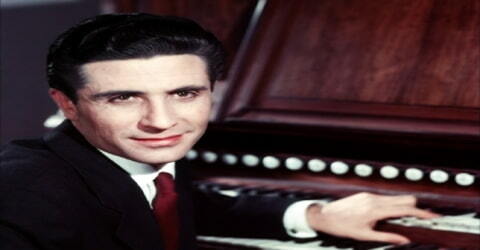 In 1952, he changed his stage name to Gilbert Bécaud, made his performing debut as a singer, got married, and made important songwriting connections with Louis Amade and the young Charles Aznavour. While touring with Jacques Pills as a pianist, Bécaud met Édith Piaf, the wife of Jacques Pills at the time. He began singing at her suggestion in 1953, with “Mes Mains” and “Les Croix”. His first performance came the year after. His hits in the later part of the decade included “La Corrida” (1956), “Le Jour où la Pluie Viendra” (1957), and “C’est Merveilleux L’amour” (1958). In early 1954, Bécaud made his first appearance at the Olympia concert hall, serving as a supporting act on the night of its reopening. He returned as a headliner in February 1955 and delivered an exciting, star-making performance at which the teenage crowd went wild and started ripping the seats out of the theater. The stir captured the imagination of the French press, who nicknamed Bécaud “Monsieur 100,000 Volts”; all the publicity effectively catapulted him into the front rank of French singers. His first hit in the English-speaking world was Jane Morgan’s cover version of “Le Jour où la Pluie Viendra” (as “The Day the Rains Came”, with English lyrics by Carl Sigman) in 1958. He began acting in the same period, starting with “Le Pays D’où Je Viens” (1956). 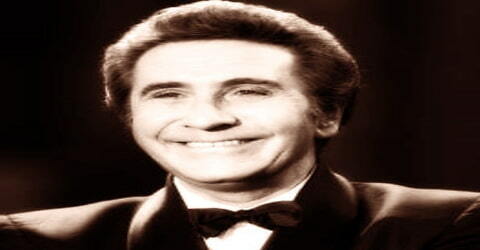 Bécaud scored numerous hits over the remainder of the ’50s, including “La Corrida” (1956), “Les Marchés de Provence” (1957), “Le Jour où la Pluie Viendra” (1957; written with Delanoé), and “C’est Merveilleux l’Amour” (1958), among others. Additionally, “Le Jour où la Pluie Viendra” was adapted into “The Day the Rains Came,” and recorded for a chart-topping U.K. hit by Jane Morgan in 1958. It was the first of several Bécaud numbers that would find wider success via English translations, and he consolidated his growing reputation with extensive international touring. Bécaud also dabbled in film acting during this period, making his first appearance in 1956’s Le Pays d’où Je Viens and continuing in 1957’s Casino de Paris and 1959’s Croquemitoufle. In 1960, Becaud won a Grand Prix du Disque and composed “L’enfant à L’étoile,” a Christmas cantata. That same year, “Let It Be Me”, an English version of his “Je t’appartiens”, became a hit for the Everly Brothers, followed, over the years, by Bob Dylan, Nina Simone, Elvis Presley, Willie Nelson, Jerry Butler, Sam & Dave, and James Brown. 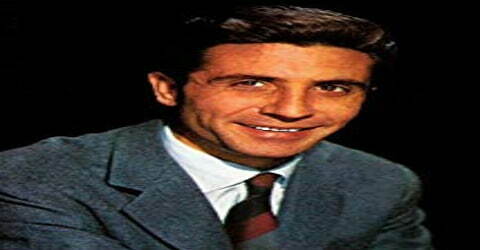 Bécaud scored the biggest hit of his career in 1961 with “Et Maintenant,” a song he co-wrote with Pierre Delanoé that wound up ranking among French pop’s all-time classics. Translated into English as “What Now My Love,” it became a standard in America and Britain as well, recorded by Shirley Bassey, Sonny & Cher (a U.S. Top 20 hit in 1966), Frank Sinatra, Elvis Presley, Andy Williams, and countless others. In 1962, Bécaud completed work on a full-fledged opera, L’Opéra d’Aran, which premiered in Paris that October with Georges Prêtre conducting; he spent a good part of 1964 touring Europe with it. Meanwhile, the pop hits kept coming: “Un Dimanche à Orly” (1963), the enormous hit “Nathalie” (1964; probably his second best-known song), “Quand Il Est Mort le Poète” (1965), the controversial pro-de Gaulle anthem “Tu le Regretteras” (1965), and “L’Important C’est le Rose” (1967). Also, “Seul Sur Son Étoile” was adapted into the English-language hit “It Must Be Him,” which Vikki Carr took into the U.S. Top Five in 1967. 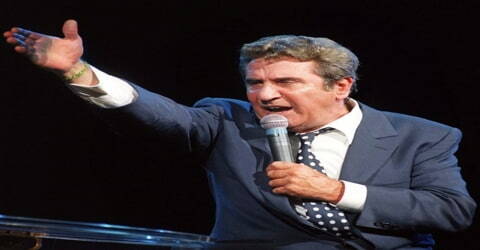 Bécaud continued his extensive international touring and appeared frequently on French television during the late ’60s. 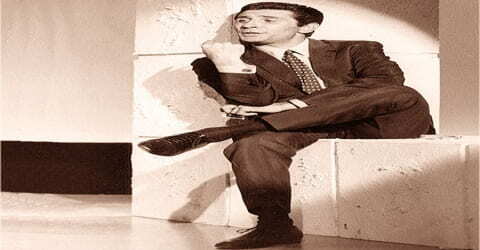 On 19 June 1968, the American Broadcasting Company aired a half-hour color special starring Bécaud that had been taped in Saarbrücken. Bécaud performed “Nathalie”, “Mademoiselle Lise” and “The Day the Rains Came” and sang a duet with Inge Brück, “Sand and Sea”. The programme also featured performances by João Gilberto, Lill Lindfors, and Hans Koller. Bécaud focused far more on touring than recording during the ’70s, but continued to hit the charts periodically, and maintained a healthy share of his popularity despite changing musical tastes in France. He had another major hit with 1970’s “La Solitude, Ça N’Existe Pas,” and briefly returned to acting over 1972-1973, with appearances in Roberto Muller’s Un Homme Libre and Claude Lelouch’s Toute Une Vie. He was forced to take some time off in late 1973 due to exhaustion, and by this point in his career, his chronic smoking was beginning to exact a toll on his voice. Nonetheless, he managed to keep up a hectic touring schedule, and returned to action in early 1974 to be named Chevalier in the Legion d’Honneur; the honor was presented by his old songwriting partner Louis Amade, who was also a prominent civil servant. In 1975, Bécaud scored his only U.K. hit with the Top Ten “A Little Love and Understanding,” the English-language version of “Un Peu d’Amour et d’Amitie.” He began writing with Pierre Grosz in 1976, including the hit “Mais où Sont-Ils Les Jours Heureux?,” and had another success with 1977’s “L’Indifférence,” written with longtime collaborator Maurice Vidalin. In 1982, Becaud recorded the duet “L’Amour est mort” with Québécoise singer Martine St. Clair at the start of her career. The 1980s and 1990s saw a slowdown of Bécaud’s activity. He released various compilations and toured occasionally. After a break in the late ’70s, Bécaud co-wrote Neil Diamond’s adult contemporary smashes “September Morn” (1980) and “Love on the Rocks” (1981), and revitalized his own recording career with the 1982 hit “Desirée.” In 1986, his stage musical Madame Roza written with lyricist/librettist Julian More opened in America to much greater success than it had enjoyed in France, and moved on to Broadway the following year. Bécaud switched from EMI to BMG in 1988, and issued his first album for the label, Fais-Moi Signe, later that year. Following his mother’s death in 1991, Becaud embarked on a whirlwind tour of the world, after which he contemplated retirement. First, though, he released the autobiographical album ‘Un Vie Comme un Roman’ (A Life Like a Novel) in early 1993. He spent the next few years relaxing and nursing his health at his various homes, including a houseboat he kept on the Seine River in Paris. Becaud continued to write, however, and returned in late 1996 with the album ‘Ensemble’. The following year, he celebrated his 70th birthday with yet another series of concerts at the Olympia, and in 1999 released the low-key acoustic album ‘Faut Faire Avec’… Becaud gave his final live performance in Switzerland in July 2000 and subsequently entered the studio to record his final album, ‘Le Cap’. 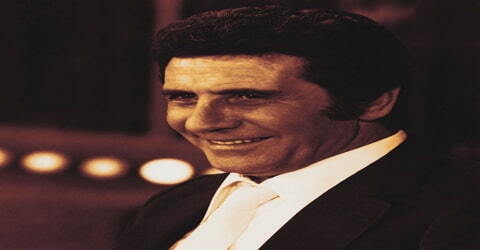 Gilbert Bécaud was felicitated with the ‘Chevalier de la Legion d’ Honneur’ in 1974 at the Olympia, where he had once enthralled the audience with his incredible performance. Bécaud was honored with a gold medal in 1980 by the ‘SACEM’, an association of songwriters and composers, for his outstanding contribution towards the field of music. 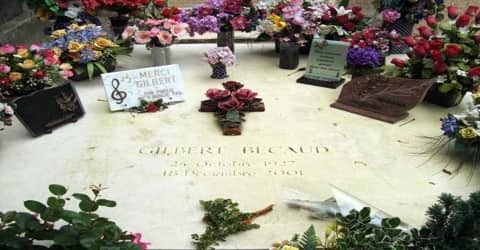 On 18 December 2001 Gilbert Bécaud died from cancer, aged 74, on his houseboat on the Seine and was interred in Père Lachaise Cemetery in Paris. Bécaud’s song catalog, running to around 450 songs, is published by BMG Music Publishing. A massive crowd, consisting of 4000 people had attended the live performance at ‘L’ Olympia’ by Becaud. The venue was opened to a crowd after twenty-five long years and their reactions to the gig were phenomenal. The show brought immense popularity and acclaim to this talented artist, earning him the moniker ‘Monsieur 100,000 Volts’. Gilbert Bécaud’s song “L’Orange” was the featured track in one of the trailers of the movie Léon (aka The Professional) by Luc Besson.